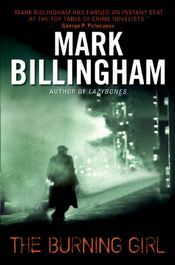 MystereBooks is pleased to feature The Burning Girl by Mark Billingham, now available at a special price, courtesy of the publisher, HarperCollins. The ebook format of this title was priced at $3.99 from the listed vendors (below) as of the date and time of this post (01/31/2014 at 5:00 PM ET). Prices are subject to change without notice. The price displayed on the vendor website at the time of purchase will be the price paid for the book. Please confirm the price of the book before completing your transaction. X marks the spot — and when that spot is a corpse's naked back and the X is carved in blood, Detective Inspector Tom Thorne is in no doubt that the dead man is the latest victim of a particularly vicious contract killer. It's morbid and messy — but it's a mystery with plenty of clues. This is turf warfare between North London gangs. Organized crime boss Billy Ryan is moving into someone else's territory, and that someone is ready to stand up for what he believes is his. Or perhaps it's someone trying to right a serious wrong: Jessica Clarke was the victim of mistaken identity. The intended target was the daughter of a gangland boss, a woman who would grow up to marry the current leader, Billy Ryan. Thorne quickly identifies a tenuous link between the two crimes, and past and present fuse together to form a new, horrifying riddle. One that involves more killings, violence, greed, and a murderous family with no values — except gain at any price. Use this link to see more discounted titles by this author on Amazon.com. 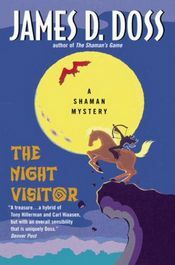 MystereBooks is pleased to feature The Night Visitor by James D. Doss, now available at a special price, courtesy of the publisher, HarperCollins. The ebook format of this title was priced at $3.99 from the listed vendors (below) as of the date and time of this post (01/31/2014 at 4:00 PM ET). Prices are subject to change without notice. The price displayed on the vendor website at the time of purchase will be the price paid for the book. Please confirm the price of the book before completing your transaction. The morning after the aged Ute shaman receives a perplexing visits from a silent, disheveled matukach "magician", Daisy's neighbor Nathan McFain discovers something astonishing buried in the dirt on his foundering Colorado dude ranch: the bones of gargantuan beast from a prehistoric age. It is a find of enormous scientific importance that attracts the attention of a wide variety of individual: noted paleontologist Moses Silver and his archaeologist daughter Delia; pillars of the scientific community Robert Newton and Cordell York; an Arkansas sharpie named Flye, an overly interested local antiques dealer … and Charlie Moon of the Southern Ute Police Department. At the McFain spread primarily to keep an eye on the disreputable Flye, Moon is curious about the strange old bones … and wary as well. For things this ancient and rare have been known to inspire evil deeds in the past, including avarice, mendacity, and murder. And when one of the prime players in this timeless drama vanishes without a trace, Charlie worries that his greatest fears have been realized. But while Charlie investigates the unexplained disappearance — and a very suspicious death that follows soon after — using rational and accepted police methods, his aunt Daisy is being drawn by forces preternatural into a grimly related mystery. For craven murder is not the exclusive domain of contemporary Man — and a cry for justice from the past has reached Daisy Perika and tow extraordinary young girls in her care, ensnaring them all in something old, dark, and dangerous. 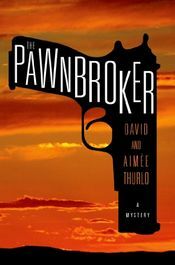 We are pleased to present you with one of this month's new 1st in Series mysteries: The Pawnbroker by Aimée and David Thurlo and introducing Charlie Henry. What we know about the character: Charlie Henry is the proud new owner of the Three Balls pawnshop, having recently returned Stateside from special-ops work in Iraq. For more information about his first case, see a synopsis of the book, below. The transition back to normal life seems to be going smoothly for Charlie Henry and his Army buddy and co-owner of the shop, Gordon Sweeney — until Gina, Charlie's childhood friend, gets shot in a transaction for information from the previous owner of Three Balls. Gordon rushes to help Gina as she bleeds on the sidewalk, while Charlie roars off on a chase to catch the shooter. The shooter gets away, and as they dig deeper, they find that the shooting has to do with Howard Baza, the previous owner of the pawnshop, and his rather questionable morals. The Albuquerque Police Department reluctantly lets the two ex-soldiers lend a hand with the investigation. Along the way they get tangled up in gang rivalries and led astray by false identities. They discover that nothing is what it seems, and almost no one is who they appear to be. Charlie and Gordon must use their skills to track down the killer and find out what happened — and why. 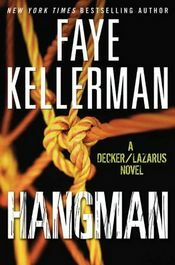 MystereBooks is pleased to feature Hangman by Faye Kellerman, now available at a special price, courtesy of the publisher, HarperCollins. The ebook format of this title was priced at $3.99 from the listed vendors (below) as of the date and time of this post (01/31/2014 at 3:00 PM ET). Prices are subject to change without notice. The price displayed on the vendor website at the time of purchase will be the price paid for the book. Please confirm the price of the book before completing your transaction. High school senior Chris Whitman confessed to murdering his girlfriend to spare beautiful, vulnerable Terry McLaughlin from having to testify at his trial. Years later, when the truth set Chris free, he married Terry, changed his name to Donatti … and became a professional killer. Now Terry's missing, Donatti's disappeared — and their teenage son, Gabe, has no one to turn to except his mother's friend, LAPD Detective Peter Decker, and Decker's wife, Rina Lazarus. The last thing Decker wants is Terry's sociopathic husband back in his world. And the hunt for Terry must share center stage with another case when a young nurse's body is found hanging from the rafters at a construction site. Caught between two troubling investigations and an increasingly precarious home life, Decker and Rina must make a difficult decision about sheltering Terry's son … even as the shadow of a serial killer falls across their own imperiled family. 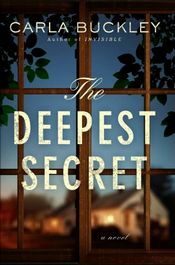 Today's new hardcover mystery title, scheduled to be published during February 2014 by Bantam, is The Deepest Secret by Carla Buckley. Eve Lattimore's family is like every other on their suburban street, with one exception. Her son Tyler has a rare medical condition that makes him fatally sensitive to light, which means heavy curtains and deadlocked doors protect him during the day and he can never leave the house except at night. For Eve, only constant vigilance stands between an increasingly restless teenage son and the dangers of the outside world. Until the night the unthinkable happens. When tragedy strikes, it becomes clear that this family is not the only one on the quiet cul-de-sac that is more complicated than it appears. And as Eve is forced to shield her family from harm, there are some crises she cannot control — and some secrets that not even love can conceal. 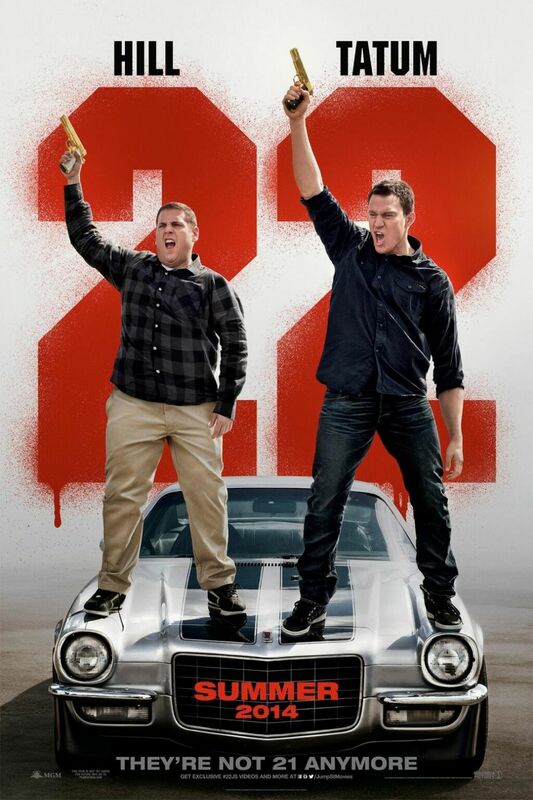 A new poster has been released by Columbia Pictures for the action comedy 22 Jump Street (right; click for larger image). The tagline: "They're not 21 anymore." After making their way through high school (twice), big changes are in store for officers Schmidt (Jonah Hill) and Jenko (Channing Tatum) when they go deep undercover at a local college. But when Jenko meets a kindred spirit on the football team, and Schmidt infiltrates the bohemian art major scene, they begin to question their partnership. Now they don't have to just crack the case — they have to figure out if they can have a mature relationship. If these two overgrown adolescents can grow from freshmen into real men, college might be the best thing that ever happened to them. Directed by Phil Lord and Chris Miller from an screenplay by Michael Bacall, 22 Jump Street opens in theaters June 13, 2014. Watch the green band trailer for the film, released last month. 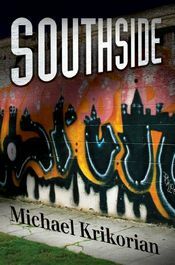 Today's featured mystery, suspense, or thriller title is Southside by Michael Krikorian. This Kindle book was listed at $1.99 as of the date and time of this post, Friday, January 31, 2014 at 1:30 PM ET, and should be available at this price through Sunday, February 02, 2014. Los Angeles Times gang reporter Michael Lyons has just left his favorite downtown saloon when he is shot and wounded on the sidewalk two blocks from City Hall. After the initial shock, fellow reporters put together a betting pool. The bet? "Who Shot Mike?" There are a lot of contenders. When the LAPD's investigation stalls, the Times runs editorials critical of the police. Then, when detectives uncover an audio tape of Lyons talking to a gang member about the benefits of getting shot, they release the tape. The embarrassed newspaper editor fires Lyons, who then sets out on the streets of Southside Los Angeles with a vengeance to find the shooter. When three seemingly unrelated people are murdered on the streets of L.A., Lyons connects them to his own shooting. The tie-in? An imprisoned, notorious gang shot-caller known as Big Evil, who Lyons made famous in a gang profile and whose younger brother is among the victims. But who is doing the killing? 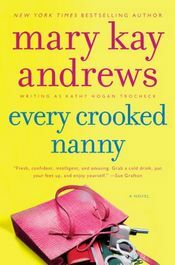 MystereBooks is pleased to feature Every Crooked Nanny by Mary Kay Andrews writing as Kathy Hogan Trocheck, now available at a special price, courtesy of the publisher, HarperCollins. The ebook format of this title was priced at $3.99 from the listed vendors (below) as of the date and time of this post (01/31/2014 at 1:00 PM ET). Prices are subject to change without notice. The price displayed on the vendor website at the time of purchase will be the price paid for the book. Please confirm the price of the book before completing your transaction. After ten years of cleaning up the dirt on Atlanta's streets, Callahan Garrity is trading in her badge for a broom and a staff of house cleaners. But, though the uniform is a little different, Callahan soon finds herself right back in the middle of a mystery when a client's pretty, pious nineteen-year-old nanny is gone … along with the jewelry, silver, and a few rather sensitive real estate documents. 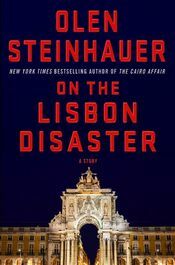 On the Lisbon Disaster by Olen Steinhauer is an e-original story that introduces the enigmatic John Calhoun, an international security contractor, who plays a prominent role in Steinhauer's upcoming stand-alone spy thriller The Cairo Affair. Before his assignment to the CIA's Cairo office, John Calhoun worked in Lisbon, Portugal, where he took part in an extraordinary rendition — the apprehension of a wanted individual for interrogation. But from the beginning of the operation nothing goes as planned, and for John, it soon becomes much more than a career-defining moment; how he handles this crisis will define who he is as a person. 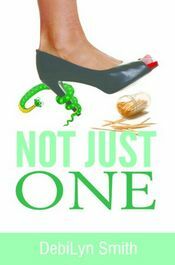 MystereBooks is pleased to feature Not Just One by DebiLyn Smith as today's fourth free mystery ebook (A Kathy Sands, Running from Mystery; Kindle format only). This title was listed for free as of the date and time of this post, January 31, 2014 at 7:15 AM ET. Prices are subject to change without notice. The price displayed on the vendor website at the time of purchase will be the price paid for the book. Please confirm the price of the book before completing your transaction. Frazzled single mother and electronic store manager Kathy Sands battles for her children and her life throughout the disturbing disappearance of her babysitter and the re-appearance of her tooth-pick twirling "was-band" Billy. When fingers point at Billy he also vanishes, taking their children with him. Billy is wanted by Kathy, the sheriff, the police and a desperate drug dealer named Snake who figures if Kathy dies, Billy will show for the funeral. Despite flying snakes, a tango with a boa and explosions, Kathy must find her children and her babysitter and learn to put both feet and not just one down with all the men in her life, father and Sebastian, the gay spirit guide included, before it ends in catastrophe for them all. 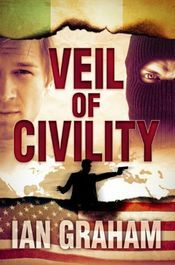 MystereBooks is pleased to feature Veil of Civility by Ian Graham as today's third free mystery ebook (A Black Shuck Thriller; Kindle format only). This title was listed for free as of the date and time of this post, January 31, 2014 at 7:00 AM ET. Prices are subject to change without notice. The price displayed on the vendor website at the time of purchase will be the price paid for the book. Please confirm the price of the book before completing your transaction.